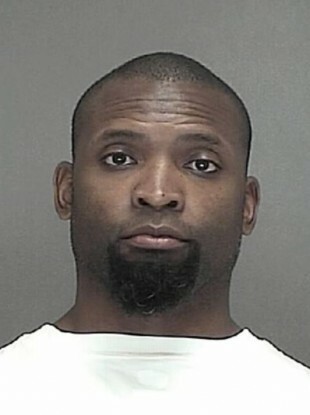 Ahman Green is charged with punching his daughter in the face. Ahman Green following his arrest. FORMER GREEN BAY Packers running back Ahman Green, the NFL team’s all-time rushing leader, was charged with felony child abuse yesterday after his 15-year-old daughter told police he punched her in the face. Green was also charged with disorderly conduct stemming from a Sunday incident in Ledgeview, Wisconsin, near Green Bay, and was jailed. According to a criminal complaint obtained by TMZ Sports, Green’s daughter told police she had argued with her father all day before he threw her to the ground and struck her in a dispute involving her cleaning the dishes. Green was arrested Monday at his home after police responded to an emergency call from a neighbor. Police said his daughter’s left eye was “swollen, slightly black and blue,” and that she had two scratches. Green said he did not punch her but instead “slapped her upside the head” and said her glasses caused the damage to her face, TMZ reported. The 40-year old spent 12 seasons in the NFL, playing for the Seattle Seahawks as well as the Houston Texans. Email “Packers all-time rushing leader charged with child abuse”. Feedback on “Packers all-time rushing leader charged with child abuse”.